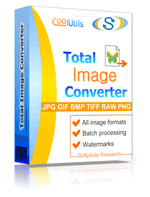 Convert PICT to BMP raster images online in a few clicks! Try the PICT to BMP Online Converter or get our batch Tool for more! Description PICT is a metaformat used for exchanging graphic data between Mac-based applications. PICT uses QuickDraw encoding and it stores both bitmap and vector graphic data. There are two types of PICT files: the obsolete PICT 1 supporting 8 colors and backed by the black-and-white QuickDraw, v. 1; and PICT 2 backed by QuickDraw 2 also known as Color QuickDraw. The format has been around since 1984 and now it has been largely replaced by PDF and has fallen out of use due to large size.